PISCATAWAY, N.J. (Aug. 29, 2018) – Rutgers swimming & diving has unveiled its 2018-19 competition schedule with eight duals, three invitationals and two open water events to prepare for the Big Ten and NCAA Championships. The Scarlet Knights open the new season by sending five swimmers to the CSCAA Open Water National Championships in Lawrence, Kansas on Sept. 22. Rutgers is making its first appearance in the 5,000-meter open water championship event. Rutgers enters the traditional lanes for the first time on Oct. 5-6 for a two-day invitational at Colgate before a three-week competition hiatus. 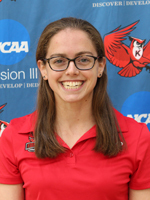 RU hosts its annual Alumni Meet on Oct. 20 during homecoming weekend, which will also include the Rutgers Athletics Hall of Fame induction of Class of 2010 grad Catherine Whetstone-Battoni. The Scarlet Knights return to action for back-to-back dual meets on the road at Michigan State on Oct. 26 and at Oakland on Oct. 27. Rutgers enters another first-time event on Nov. 10-11 for the inaugural ACC/Big Ten Challenge at Purdue. Swimming students will be determined using a similar selection process to that of the College Challenge, where at least two females from each institution will be designated to compete, but no more than five females from each school will participate. Additionally, for diving students, there will be no more than two females from each school. The Rutgers Aquatic Center will see its first competition on Nov. 16-17 as RU hosts a tri-meet with LIU Brooklyn and Brown. Rutgers remains home through an off-week before hosting the A3 Invitational, a championship-style event running from Nov. 28-Dec. 1. The Scarlet Knights head for warmer weather during winter break, spending a week in Puerto Rico and three days in Southern California for their annual training trip. They’ll jump back into competition for a two-day, two-site quad meet with Princeton, Seton Hall and Villanova. Rutgers hosts the first leg on Jan. 11 before heading to Princeton on Jan. 12. RU’s final tune-up before championship season falls on Jan. 25-26 with a Big Ten dual meet at Nebraska. Championship season kicks off with the Big Ten Championships from Feb. 21-24 at Indiana. Qualified divers will attempt to book their tickets to the NCAA Championships at the Zone A Championships from March 11-13 at Navy. The NCAA Championships are set from March 21-23 at Georgia. Ten select Scarlet Knights with requisite academic and athletic merit will earn a trip across the pond for the Swim Open Stockholm in Sweden from April 12-15.